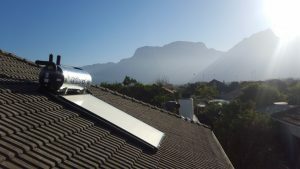 Solar Specialist offers solar hot water systems in Cape Town. Solar Hot Water Systems (Solar Water Heating) perfectly compliments a photo-voltaic solar system and vice-versa. The main aim is to reduce a house’s overall energy consumption as far as possible before appropriately sizing a solar system to offset the remainder. The City of Cape Town estimates that between 40% and 50% of the average household’s energy consumption is used by the electrical geyser. Fitting a correctly sized solar geyser can reduce this cost by as much as 80%. 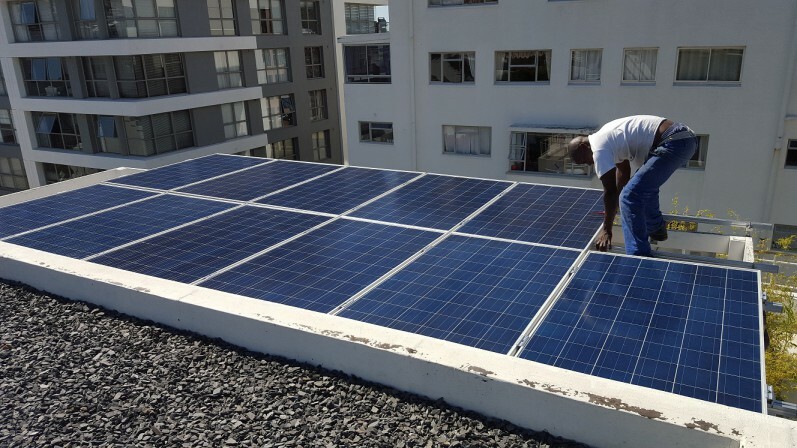 Fitting a solar geyser or heat pump offers a payback period of as little as 2 years with savings in the hundreds of thousands of rand over the lifespan of the system. At Solar Specialist, we offer a range of complete solar hot water systems or retrofit systems to work with your existing geyser. Using either a flat plate collector panel or evacuated tubes, we are able to save an average of 70-80% of your household heating costs which contributes significantly to the total monthly bill.